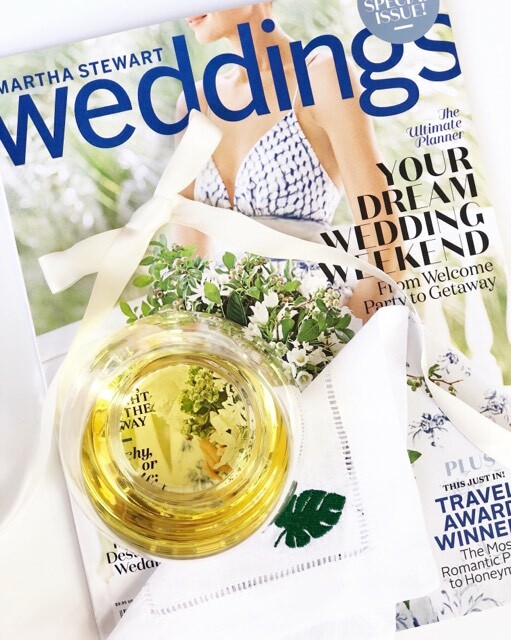 This #WeddingWednesday, we’re jumping right into the planning aspect and diving in headfirst. Here’s the deal: planning your wedding can feel pretty overwhelming at first (even if you’re an event planner). In the next few posts, I’ll share my tips and tools of the trade, so you can plan your own dream wedding with ease (or as much ease as possible)! I’ll share the steps I’ve taken so far, and spill a couple of the details for our big day. I have kept saying over and over, “who knew wedding planning was so difficult”? I guess I should have known, since I am an event planner for a living. Here’s the thing, its way more challenging when you’re planning your own. For me at least, I scrutinize over every little detail and think of so many different ideas, it makes it difficult to pick just one. Since Paul and I decided on having a short engagement, we had to be organized and dive head first into the planning process. My number one tip whether you have a professional planner or not is to buy a organizational book like the one by Mindy Weiss, or sign up for a free online wedding planning program (I really like the one from TheKnot.com). These tools make it incredibly simple to get started, and make it way less intimidating thanks to the detailed checklist. This way, even if you did hire a planner you can follow along much more easily, and make sure no detail is overlooked. After I bought an organizational book and signed up for The Knot’s free online planning tool I determined the budget for the event. It’s definitely one of the not so fun aspects of wedding planning, but it’s also totally necessary. It’s the one big question on everyone’s mind: How are we doing to pay for all of this? Before you start flipping through magazines and pinning things on Pinterest, you’re going to have to do some accounting. If you make a realistic budget from the get-go, you’ll save yourselves some major stress. Make a list, and figure out what is most important to you. Is it the dress? The food/drinks? The band? For most weddings the majority of the budget (about 45 percent) goes to food, drinks, and reception fees. The next big ticket item is typically a band or the photographer. Remember, no matter the budget, there is a time to splurge and a time to save. I’m sure this is no surprise to you all, but one of the most important items on my list has been the flowers and over all room décor. I’ve always envisioned beautifully set tables, topped with large bouquets and little details throughout. Let’s put it this way, the linens that came with the venue just wouldn’t do it for me. Didn’t you expect that from me though? Some of you will be totally into the dress, the band, etc. but what is important is that you budget accordingly so you can splurge on the things that you want to. After you’ve determined your budget, here comes the fun part… picking your venue. When it comes to picking the venue or making the guest list first, you can really do it either way. I made a very tentative guest list before I started looking online at venues so I knew whether certain places would be too small or too large. Luckily for us, our ceremony and our reception are in the same place, which makes things a lot easier to coordinate. Next week I’ll dive more into why and how we picked the Four Seasons. The guests are really what make a wedding special, memorable and personal. From your neighbors, childhood BFFs, college pals, family and mentors, your guest list represents your community, and a group of people who have supported and encouraged you. That being said, assembling the guest list can be a huge challenge, and can mean making some tough choices. As much as you probably don’t want to offend anyone, you also want to stay within your budget. Paul and I both have large families, so our friend list had to be a little shorter. After weeks of struggling over the guest list, the good news is now you can create your save the dates. This was one of my favorite parts of planning because it finally felt like the wedding was really happening. Many couples today are putting photos of themselves on the save the dates, but the possibilities are truly endless. Due to our short engagement we didn’t take our engagement photos in time so we opted for a classic ivory/gold card instead. The envelope was my favorite part as the inside was lined with a gold glittered card. It turned out beautiful, and was very classic. Next week I’ll dive in a little more on how to pick the perfect venue for your ceremony and reception, the importance of making a venue pros vs. cons list and how to navigate venue contracts. I’ll also share why we picked the venue we did, and how I knew right away it was “the one”.